“In 1980, Dona suffered a traumatic head injury as a result of an automobile accident. The Talbot County School system placed Dona at Chesapeake Center for vocational training. Marianna Breeding, who worked one on one with Dona, was very instrumental in Dona’s continuing recovery. 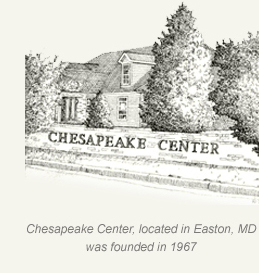 As a direct result, Chesapeake Head Injury Center, a division of the Center, was formed. In time Dona became a full time resident in the residential program. Throughout our relationship with Chesapeake Center, Dona’s rehabilitation and well being have been the most important concerns. Eileen Looney, residential supervisor is a wonderful example of the caring providers and instructors responsible for Dona’s care. Eileen has been Dona’s best friend and staff for 18 years. Chesapeake Center, Inc. envisions a caring community in which individuals with disabilities become empowered to demonstrate their choice of residence, career, friends, and activities where they are safe from abuse, neglect, recrimination, and ridicule. 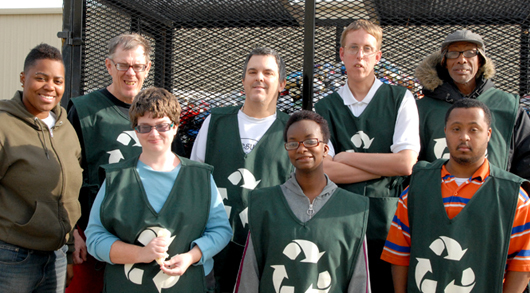 Chesapeake Center’s mission is to assist adults with disabilities to reach their potential for independence by pursuing opportunities for housing, employment, natural supports, friendship, and community activities.